The housing market around the Greater Boston area has shown for the first time in six years inventory is higher than it was last year at this time. Buyers, get excited that the ball is finally going to be back in your court earlier this year. Despite that good news, homes are still priced to attract buyers as we are still coming off the winter chill which keeps inventory at bay, so most homes are subject to bidding wars. In this ultra-competitive market, buyers need to do all they can to make the strongest offer when the right house becomes available. The first line of defense is hiring an experienced agent who is an expert at handling the complexities of multiple offers. Then buyers will have a highly skilled professional to help them implement some of the following tactics to help set their offer apart from others in a bidding war. Have your lender keep your pre-approval letter current, within 20 days, and if possible, specific to the property you’re bidding on. When choosing your lender, make sure they are committed enough to go to bat for you in a bidding war. They should be well known, respected among agents in the area, and highly specialized in mortgage lending. If this lender really is willing to go to bat for you, they’ll get on the phone, with the listing broker, after hours if required, and vouch for you; that you’re fully qualified for the loan and that your documents have been reviewed entirely. Consider writing into the offer that you’ll purchase the property regardless of the appraised value. List prices typically reflect the comps (comparative properties) of homes sold in the neighborhood in the past six months. This is different than the appraised value which, these days as prices rise, can be lower than list price. Lenders lend based on the appraised value, so if you offer based on the higher list price, you’re responsible for covering the difference. However, in a market where prices are increasing, you should not have any problem getting the value of what you paid. Be prepared to see a house whenever the seller allows. Do anything you can to give yourself a head start on the offer process, even if you must leave work early or go in late. If you have a chance at a showing, do anything you can to take advantage of the opportunity. Sellers are often more likely to choose a buyer with whom they feel comfortable. A home is typically someone’s prized possession and they want to know you’ll care for it as they do. Send that message with a heartfelt letter showing how much you love their home. Appeal to their emotions. If they raised their children in that home, explain how you can envision yourself doing the same thing. If the home has been in the family for a long time but has fallen into disrepair, explain how you can’t wait to revive it and bring back its charm and beauty for the next few generations of your family to enjoy. Sellers often price their homes aggressively to incite bidding wars. When you are making an offer in a multiple offer situation you know the home is likely going to sell over asking price. The tricky part is figuring out how much over asking price. What you need to do as a buyer is, offer as much over as you can and as you are comfortable with. An additional $10k equivalates to roughly the cost of a cup of coffee per day- would you be willing to lose your perfect home over that? Let’s say you make a 50k over asking offer on a 500k house. Though the offer may seem high, if the property value in that area increases at an average of 10% a year, you’d be positioned to earn the value back within a few years. Consider looking for homes under budget to allow for wiggle room in your available funds so you can put your best foot forward. If you widen the search bracket to reflect homes $50K under your budget, you may have an easier time winning a bidding war because you’ll be able to offer much higher than the asking price. Homes selling over asking price has become the norm over the last couple of years and is especially common right now. In certain circumstances, an escalation clause can be a great tool to raise your chances of beating other offers. It allows you to offer the seller a certain amount over their highest offer up to a pre-determined price. You can waive the home inspection, which is the most aggressive way to show you’re serious about the property. Or you can opt for the inspection and include in your offer that you’ll cover up to a certain amount of the estimated repair cost. If you go this route, be sure it’s a high number or it won’t be attractive to a seller. Buyers have typically allowed for $5,000 – $10,000 in repair costs- but in a bidding war, these numbers may not be enough. This gives the seller confidence that you are fully committed to purchasing and that you won’t attempt to renegotiate or back out of the sale. Shorten the inspection window, purchase and sale date, and mortgage contingency if possible. Speak with your lender to determine the earliest mortgage contingency date. Sellers may feel a buyer with a higher down payment of 10-20% is more qualified than a buyer with a 3.5-5% down payment. Consider putting more money down if you’re able. Borrowing from your 401k could be a valuable option to bring your down payment to 20% if it is possible. Although this is a loan that you’ll need to repay, you’re repaying yourself technically and there are typically a variety of repayment options. This may be a sounder financial decision as opposed to putting less than 20% down and having to pay mortgage insurance which comes with an upfront fee and a monthly fee. Submitting your offer with a larger deposit is another way to strengthen the validity of your bid. Most buyers include a $1,000 deposit with their offer and then an additional at the purchase and sale. Why not put $5,000 in at the beginning if you’re going to have to anyway at the end? Some sellers have inflexible circumstances and will need to sell to a buyer who is willing to accommodate their time frame. Be as accommodating as possible on all fronts to make yourself stand out! Consider allowing a “rent back.” Some sellers need to stay in the home for a brief period of time after they close until they can move into their new home. This is known as a Use and Occupancy agreement and can provide some benefits to the buyer as well. 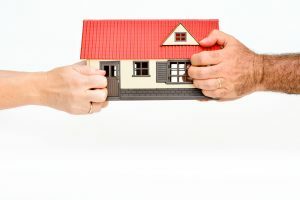 Buyers see the benefit of a U&O agreement if they’re in a lease they don’t want to break or if they’re in the midst of selling a home and want to close that deal before they worry about packing up and moving right away. Another benefit is that you can lock in an attractive rate by closing earlier- closing later to accommodate the seller’s timeline could leave you vulnerable to having to pay a rate lock extension. The Greater Boston housing market has been seeing this trend for quite some time now, especially around this time of year. 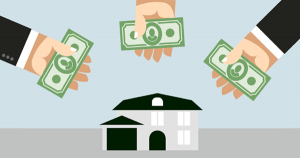 If you’re looking to purchase a home, hopefully, you can find the right house, for the right price, and make the right offer so that you win the bidding war. Unfortunately, it’s not always an easy process and you may not get what you want the first time. If you have the best group of real estate professionals behind you, you will stand out to sellers and their listing agents. Doing your due diligence, hiring the right agent, and using the best lender are the keys you need to eventually beat out other offers and win the house you want. *DISCAIMER – There are risks involved with these tactics, consult your Realtor or Attorney.